Anti aging talk now, what is my first impression of Clarins? Well, I love all Clarins products scent. It never fail to calm me and gives a very pleasant feeling. Oh yes, that is important to me. 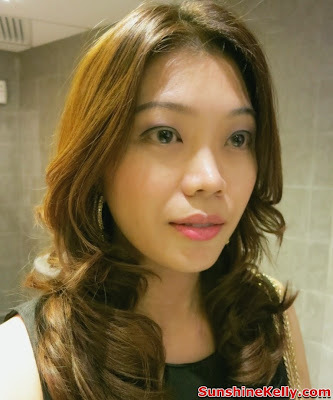 I have to admit that I am an anti aging products addict. Any new anti aging products I would like to try have used this Clarins Double Serum for more than three weeks so this is my review and verdict about Clarins Double Serum Review. Of course two is better than one! same goes with skincare also. Two powerful serums in one bottle giving me twice the anti-aging power vroom… As usual I use 3 pumps for the whole face and neck twice a day in the morning and evening before moisturizer. The texture of Double Serum is light and is instantly absorbed by the skin as it combines the lightness of a gel with the comfort of a cream in an airless pump bottle. One side is oil and the other side is gel or cream. Double Formula is a Feat of Technology, it is unique formula of Hydric & Lipidic system (water and oil soluble) combines two powerful formulas in one optimum golden ratio which replicates the model of hydrolipidic film, similar to the nature of the skin’s natural protective barrier. Each precious dosage delivers optimal absorption to help you fight all aspects of ageing. The two separate phases– presented in side-by-side vials enable the otherwise impossible combination of water and oil soluble ingredients with no risk of incompatibility or instability, and without recourse to emulsifier. The two formulas are mixed only on application and always in an ideal balanced golden ratio. Double Serum is also proven to boosts the production of collagen 1 by 9 times. With the increase in this indispensable element for firmer skin, wrinkles are visibly reduced, pores are less visible and skin’s firmness, smoothness and density are preserved. When I pumped it out both comes out together and it blends well plus absorb fast into my skin without any feeling of stickiness. Its fragrance, created by a Japanese master perfumer, is a blend of fruity and floral notes that are both fresh and refined. The Double Serum it is suitable for all skin types and women age 25 years and above. 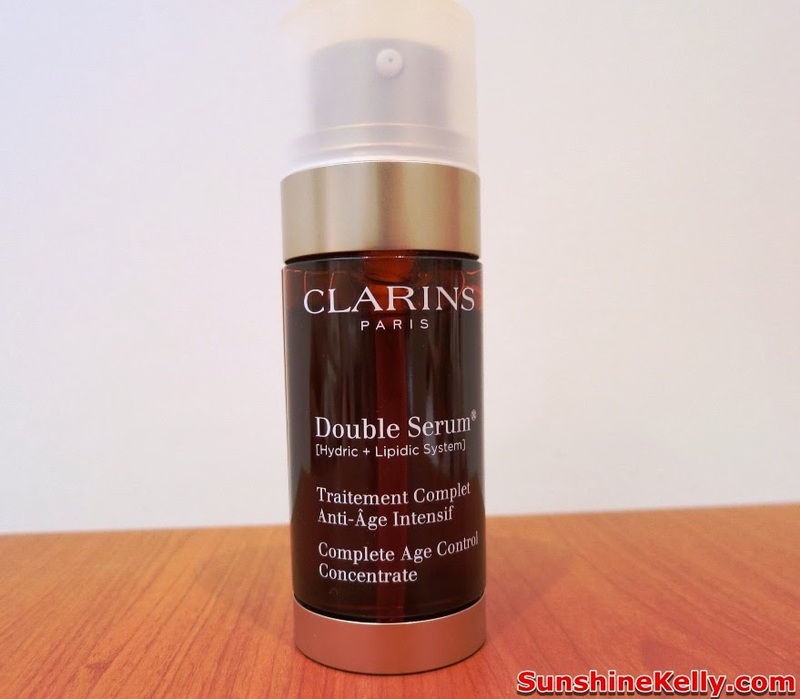 After using Clarins Double Serum for three weeks, I can see and feel that my skin is more supple, moist and firm. The fine lines around my lips are now less visible. 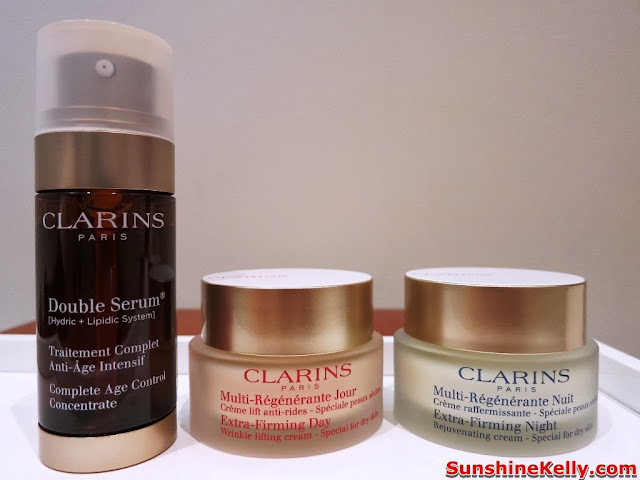 The obvious improvements that I notice after using Clarins Double Serum is that when I wake every morning my skin do not look tired or dull it has natural glow and shine. I have dry and dehydrated skin the combination of soluble oil and water actually helps to moisturize and firm up my check and around my neck. Overall, this Double Serum gives good results on my skin. After I apply Clarins Double Serum to complete my skincare regimen I use Clarins Extra-Firming Day Cream (for dry skin) in the morning and Clarins Extra-Firming Night Cream (for dry skin). With the combination of the serum and moisturizer it gives a better result.